The Phils win another at home against the Marlins. They move into third place tie with the Marlins now with the Nationals fading fast in last place. Now onto Atlanta! The Phils were red hot in the last couple games, 6-3 to be exact. The Marlins are in for the weekend, can the Phils keep this up? The juggernaut was unleashed on the Houston Astros last night for the Jackie Robinson Day celebration, and at the same time the Phillies celebrated their big win. Despite Adam Eaton giving up a first pitch homerun to Craig Biggio and getting behind in the counts constantly throughout the night. Eaton hung in there though and the offense exploded to the point where no one could have beat them last night! It was dollar dog night last night at the ballpark, and I scooped up a couple along with the Mrs., but upon chomping down on those franks we both found that the dogs were ice cold, and nothing is worse than a cold dog! I wouldn't give them a quarter for another dollar dog day, that is for sure. Well, back to the game. Rollins again had a great game, I didn't realize it until I was listening to the radio broadcast while at the game that Rollins had gone 4-24 or close to that on the road on the last trip. He seemed like he was playing better than that to me, but according to Larry Anderson this was the case. Seeing everyone in the same number all night was a little confusing, but after a while Dan Baker's announcement of "Now batting #42...." became very familiar. So the Phil's seem to have some things going great for them at the moment. One thing I noticed at the game but don't know if it was talked about at all on the television broadcast of this game was when Ryan Howard struck out the last time, he banged his bat on the ground so hard he broke it in half! He looked really mad at himself for striking out, but at that point the team was up over 6 runs on the 'Stros. Ryan should just settle back and have fun, he'll break out of his funk, he needs to just take it easy and concentrate on getting a hit. Moyer takes the mound tonight, and the Phils should win this one as well. That's what I predicted last night, and that's what I see again tonight. Let's go Phil's ! Extend this win streak all the way to May! I'll get back to my audio posts later in the week, when my time isn't so short! The Phils should have swept the Cincinnati Reds over the weekend, but two out of three isn't bad! I am trying not to let my enthusiasm from the wins over shadow Tom Gordon's terrible performance on Friday night, and he is reminding me of Mitch Williams. Williams was the best when he was on, but the worst at times as well. When I heard Harry Kalas announce, "It's Flash Gordon Time" after the commercial, I got a sick feeling and thought, oh know! True to form, he blew the game which was a great 1-0 game at the time and Manuel left him out to dry and exposed him to be the pitcher that he is. He would be an ok mid relief pitcher in my opinion, but he shouldn't be the closer at this point in his career. He throws predictable pitch's that batters are just waiting on. Brett Myers came into the game for one inning and he was blazing, Manuel should've brought Myers back for the 9th and the Phil's would have had a sweep of Cinncy but he didn't. So let's not forget! Gordon shouldn't be the closer on this team. He is well past his prime, and he's not a dominant pitcher anymore. All that aside, it was nice to be on the winning side for a change. Chase Utley was heating up, and of course Cole Hamels pitched a gem with 15 strikeouts, and came within a hair of tying Steve Carlton who had 16 strikeouts in a game. Hamels posted his first CG which compared to Carlton's 185 CG's for the Phillies over his career. So Hamels is on his way to hopefully a great season as on the post game interview, he told Harry Kalas that there is more to come from him in reference to his great game he pitched in Cincinnati on Saturday night. It's gonna be a hot night at Citizen's Bank Park with Jackie Robinson Day, or Night as it will be later on. I am predicting another Phillies win tonight as the wheels keep on turning! Phils win again tonight, Howard is going to go deep twice! I can see it now! 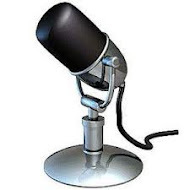 Here's the first mobile audio blog recording for the season. It allows me to post 'on the go'. The Phils go into Cinncy and keep fine tuning their offense and pitching as they go. 4-10 isn't the worst place they could be and they are on their way to tying last year's April record. The Phils Sunday game at home has been rained out as of 9:15 am, Jackie Robinson Day will still be celebrated on another day to be announced later today by the Phillies. This is the first rainout of the year for the Phillies. April hasn't been a good month for the Phils in the past two years after getting off to a 3-8 start so far this year, last year in 2006 during April saw the Phillies going 10-14. Pat The Bat is on fire and he needs only 11 homeruns for 200 in his career and 77 hits to reach 1,000 according to the Phillies press notes. 1,2,3 it's really that easy, as the Phillies win the third game of the season against the Houston Astros at home. Cole Hamels gets his first win, and Rollins leads the league in the NL for homeruns. Things are looking up for the Phils. Phils limp out of NY with one win and two losses, they'll look for the third win of the season at home this weekend. Freddie Garcia is slated to return, let's go Phil's 2-7 isn't exactly a great start. Now up for the Phils, number 42 ... the whole team! Well, it should be interesting on Sunday especially since the forecast is for rain. I have to side in with some other baseball writers that have called for the commish of baseball to release the number 42 that all teams in the MLB had to retire, be given back to the players to wear to further honor Jackie by actually wearing the number. We'll see how this progresses. I'll have my voice back soon, so look for another audio post real soon. As I write this, the Phils are ahead 5-2 in the 9th, I think they are well on our way to the second victory of the season! Don't abandon ship on the Phils just yet! The Phillies are off to a less then promising start here in April, but that's no reason to get all rammy. The team will pull it together and hopefully get in the swing of things soon. This isn't a time to play the blame game. I was listening to WIP 610 this afternoon and all I heard was negativity. Yes, there was some mistakes, errors and things we wished wouldn't have happened over the past couple games but it's no reason to overreact as some of the callers were doing on the off day 4/10/07 for the Phillies. Everyone was looking to blame someone, it's a team game, so the blame is spread around to someone else with every passing game. People were questioning and second guessing Charlie Manuel's moves. If the Phillies would have won, people would have said 'that was a great move by Manuel" but the way some things have been going for the team it is easy to look at things that have already happened and second guess things. Charlie Manuel has guided the Phils to two second place finishes, no they didn't get to the playoffs, but they were a thread away from them and just faded at the end for the past two seasons. A lot of pressure was placed on the Phils by comments made by Jimmy Rollins. Now the newspapers are having a field day with those comments. My point is don't give up hope yet, obviously we need some wins and they will come. The bullpen hasn't been rock solid for a couple years now, and that shows evidently. We need to shore that up a bit, and then things will get back to normal. The season is long, the team can recover from this. It's only April 10th and everyone is calling for Manuel's job, give me a break. Manuel's been on the field for too many years to just want to sack him now, the Phils need him greatly. Howard is having a rough April, but it's not the end of the world. I'll be back to my audio posts soon, I am clearing up a cold and sore throat so as soon as this is cleared up I can resume my audio posts. First win of the season, it was a fish fry. Burrell has a breakout game, slump? What slump! Way to go Pat! Phillies vs. The Marlins preview for Saturday 4/7/07. Here's show 003 of my season long audio blog. Phil's get swept, are the fan's to blame too? My first game in attendance for 2007 was today's BPS at 3:05 pm, and hats, mittens, and scarves, where really needed! The wind whipped around the stadium in the lower level concourse areas so badly your teeth chattered, and that was before the Phil's took to the field! It was 43 degrees at game time, but with the wind chill and overcast skies it felt like 32 degrees. As strange as that was, the game followed suit. The Phil's looked listless, like they couldn't fight their way from a paper bag. The bright spot was Pat Burrell today, he got a small amount of boos here and there upon a strikeout but when he hit the ball, he ignited the crowd! A double off the Southwest Airlines sign in center sent the fans into fits, they clapped cheered and all of his 'sins' if you can call them that were forgotten. I also heard something today, I didn't think I would hear from the crowd, booing last year's MVP Ryan Howard. Can this be possible? Even on the radio broadcast, Larry Anderson couldn't believe it, and mentioned this on the air. Are people that critical in Philly? They boo Santa, so they would boo the King of Homeruns too? I saw Howard angrily react after a strikeout in the dugout by throwing a cup in disgust. This is not good. Is this why the Phillies only won 1 more game than they lost last year at home? They wouldn't get this bad a treatment on the road for crying out loud. I can see being disappointed as a fan but to boo your own players in their home stadium is beyond me. The fans should stand by their players, maybe their in a slump, maybe they had a bad day at home, whatever! I am sure anyone reading this has had bad days and for someone to kick you when your down, that is inexcusable. The Braves had a losing record against the Phils last year, so maybe they had a score to settle. Many writers have pointed to Jimmy Rollins claim that the "Phil's are the team to beat" proclaimation have spirited on teams to play extra tough against them. That may have some merit. The Bravo's go meet the buzzsaw called the Mets down in Atlanta so, I don't think the Braves will be undefeated soon, but I do know the Phils are getting themselves buried a bit quickly and they need to find a win and find it soon. Yes, the Phils got swept at home. The first three games are history. Now they go down to Florida to play the hungry Marlins on Friday, Saturday, and Sunday. Thank god, there is only 6-7 thousand people in that stadium and chances are they won't be booing the Phillies. Something is wrong, I don't know if is all the players fault. It does speak volumes when you go .500 at home but you win more games on the road that much is for sure. I'll be doing a podcast on Sunday to sum up what goes on down in Florida where the Phil's need to come up with a 'fish fry'! Game 2 for the Phils finds them in extra innings and another tough loss! This isn't too good for the Fightin's. Hear some of what I saw on the Phillies Citizen's Bank Park ballpark tour, I highly recommend this to all Phil's fans - it's the tour of tours! A look at opening day for the Phils. It was the 125th Opening Day for the team. A tough loss here, but they looked great and I thought Chase was going to come through as the hero. Edgar Renteria had a great game for the Braves, the scouting report showed him with a .375 average against Brett Myers... how about a intentional walk for him next time? Here's show number one of the series. I was going to do a podcast for the Boston exhibiton games, but I will start my audio blog of posts with the start of the regular season. Like Cole Hamels said about his outing on Friday for the Phillies, "I am glad that didn't count" -- me too! Bring on the Bravo's and bring your best! It's opening day on Monday, this one counts in the record books! 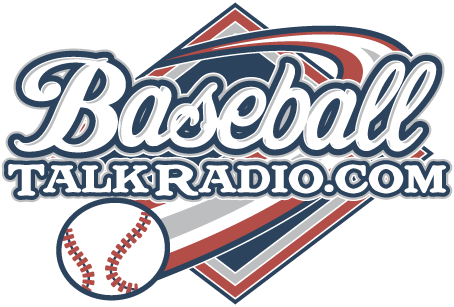 I have subscribed to MLB's Gameday Audio package, a great deal for the baseball fan!